for $569,000 with 5 bedrooms and 5 full baths. This 4,687 square foot home was built in 2010 on a lot size of 1.00 Acre(s). 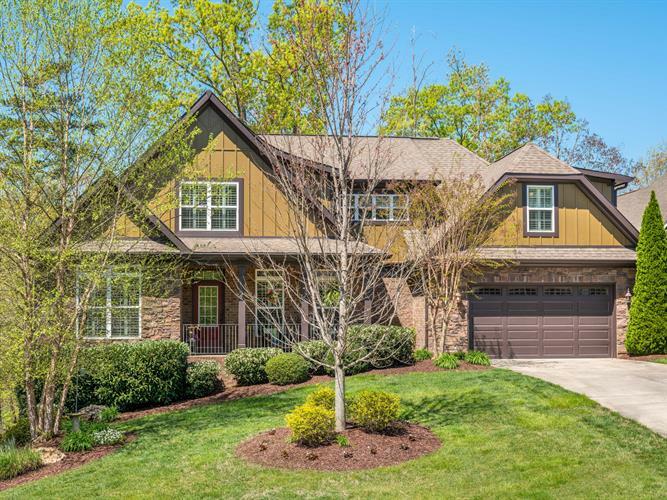 Ooltewah's Hidden Lakes Subdivision welcome's you home to an everyday retreat. A peaceful setting awaits with matured landscape all around creating a sense of serenity as well as privacy with woods in the back. Step inside to luxury with gleaming hardwood floors, white trim in every room along with surround sound through entire home, and natural light abounds with magnificent windows showing off the view. The living room also features a large gas fireplace and cathedral ceilings. The kitchen is open to the living room with custom cabinets, granite countertops including an island with more work and eating space, stainless steel appliances including a gas stove and double wall ovens. The breakfast nook also offers access to the back screened in porch. Copyright 2019 by The Chattanooga Association of REALTORS. All rights Reserved. Listing provided courtesy of The Internet Data Exchange (MLS Data Share) Program of The Multiple Listing Service of Chattanooga, Inc. The information being provided is for consumers personal, non-commercial use and may not be used for any purpose other than to identify prospective properties consumers may be interested in purchasing.